For that test case, it was determined that the Internet was an excellent medium for research collaboration between two sites. Analog video data is captured off-site and off-line through the use of a frame-by-frame advance VCR. Analog video data is converted off-site and off-line to digital video data in AVI format. Digital video data in AVI format is transmitted via FTP from a remote PC (browser) to a web server. The web server, converts the AVI frames into individual GIF files. The web server, through CGI, super-imposes the x,y,z coordinates on the video images. The web server sends back the processed (digitized) image frames back to the remote PC (browser) with all pertinent mathematical and physical observations, analysis, and conclusions. The results demonstrated the use of the Internet to digitize kinematic data collected and maintained at one geographic location while the researcher was located at a second site. After establishing the interface with the server, the researcher at California transmitted each of the digitized view files from the server (Site B) to his own computer at Site A using the File Transfer Protocol (FTP) Internet function. The files were reconstructed at Site A to determine if the data had been transmitted accurately. The data was confirmed to be identical to the duplicate set which was stored at Site B. Following the digitization procedures, the researcher had to establish an interface to the server using the a commercially available program, namely, the HTML version 3 of Netscape. For this study, an ISDN telephone line was used with a transmission speed of 128K bits per second. This type of communication line normally requires less than 2 seconds to download each image. Since not all digitizing sites would have ISDN capabilities, the same sequence was tested using a 28.8K modem. The transmission time required using the 28.8K bits per second modem was about 15 seconds per image. It was determined that the test sequence was a length which reasonably reflected a normal, acceptable time allocation for biomechanical researchers. After determining the portion of the performance for analysis, the researcher had to define the joints to be digitized. Specialized instructions were presented for defining the specific joints, such as the foot, ankle, knee, hip, as well as the golf club and ball. Following several other steps for naming and labeling files, the actual digitization began. As each of the selected points were digitized, the x,y coordinates for that point were determined immediately and were stored on the server computer in the appropriate file. The digitized points, in concert with the Common Gateway Interface (CGI), created a matrix of x,y, coordinates for further analysis. If only the two-dimensional analysis (2D) had been desired, the analytic portion would have been performed at this point. Since, 2 cameras had been used to record the event, it was possible to obtain the preferred three-dimensional (3D) analysis. Therefore, the digitization process was repeated for the second camera view. The video sequence was "grabbed" or "captured" using a frame-by-frame advance VCR. The video data was stored in AVI format on a computer located at Site while the digitizing computer, remote sites, resided at a distance all around the world. The first step was determination which the specific portion of the performance to be selected for subsequent analysis. 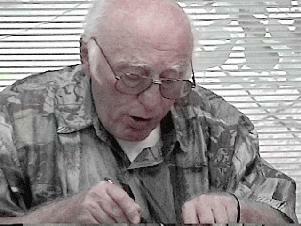 Although the actual digital data was stored on the computer located at California, the researcher examined the video portion, frame by frame, on his screen at the remote site, Massachusetts. The resolution at each site is determined by the size of the pixels at the digitized site (maximum 72 dots per inch). The researcher at the remote sites examined the specified sequence field-by-field by controlling the server computer and selected a sequence for analysis. The purpose of one early test study was to evaluate a newly developed technology for digitizing between remote sites using the Internet as the communication medium. In other words, the video sequences resided on one computer and the remote site was responsible for securing the x,y coordinates through on-line processing. The sport selected for that test was golf and the subjects were evaluated using a driver. Although the restrictions due to geographical distance, time discrepancies and relatively slow throughput over analog phone lines still pose some limitations, the use of the Internet and multimedia promises to greatly facilitate the acquisition of x, y coordinates, enhance cooperative research efforts. One technique for acquiring motion coordinates, that is, "digitizing" on the Internet, has been developed for the purpose of facilitating research inquiries. The new generation of computers and the Internet have opened new frontiers for research and international cooperation on multifaceted studies including the field of Biomechanics. Biomechanical usage gradually migrated from athletics to space and sports medicine and further extended its impact into industrial design and general medical practice With rapid advances in networking, communications, and presentation technology, it is now possible to make the benefits of biomechanics much more accessible to a wider audience and a greater range of applications. Computers themselves have evolved, and taken on new forms, capacities and applications. Mainframe-based data processing has since given way to client/server computing over a variety of local and wide area networks. The advent of the Internet and the commercialization of the World Wide Web have opened up new horizons never before imagined in many high tech areas involving science, business and engineering. Simultaneously, rapid advances in video and multimedia technology have made possible the presentation of information in much more natural, lifelike and easily comprehensible ways, such as, three-dimensional and virtual reality images. One of the first applications of these computerized innovations occurred in the area of Olympic athletic competition: (1) The electronic digitizer not only decreased the time needed for locating and storing joint center coordinates, but also reduced many of the tracing and measurement errors. (2) In addition, computers allowed data-gathering and analysis of biomechanical data to occur in different locations. The "digitizing" process could thus be conducted at one location and the digitized points transferred on-line to the time sharing system on a main frame computer for further processing. However, although this milestone represented a giant leap in precision and productivity, the limitations of the mainframe computer's architecture severely limited the public's access to this new form of technology. During the last two decades, enormous progress has been made in the field of biomechanical instrumentation. The introduction of the first electronic digitizer constituted a significant improvement to existing methods and replaced the traditional tracing technique which employed paper, pens, and mirrors. Prior to 1968, manual processes involved in biomechanical quantification were slow, tedious, and frequently contaminated with arithmetic error. Subsequently, computerization of many of these steps has accelerated the growth and widespread acceptance of biomechanical applications. Once the data was collected, the next steps involved processing and uploading it to the Internet. The various steps in exchanging and analysis data via the Internet had been under development for several years. In 1994, at the International Society of Biomechanics in Finland, I presented a paper showing how the Internet can be utilized in the Biomechanical Analysis of Athletic Events. At the Pre Olympic International Olympic Committee meeting, in Atlanta, I presented a paper dealing with a different aspect of utilizing the Internet as a medium for exchanging data. Ten months before the Games, I presented at the Scientific Conference for the IOC without describing the plans for filming for the Track and Field Coaches Association. At the International Track and Field Coaches meeting during the first four days of the Atlanta Games, I was one of the Keynote speakers presenting information about some of the new, modern ways of analyzing the events utilizing the Internet. At that time, I described the plan we had organized to gather data on as many of the events as possible. The specific steps and procedures were then described. During these early days in Atlanta, Mr. Dales and I met with our key organizers. It seemed that despite all our efforts for secrecy our plans had been discovered and were being terminated. Unfortunately various key people were adamantly against our taking the video. However, where there is a will, there is a way. After hours of preparation and help from some wonderful, forever to be anonymous, we were able to carry our nine cameras into the Stadium. Researchers included as Dr. Al Finch from the Indiana State University, Dr. Lars Oddsson from Boston University, Dr. Bob Wainwright, from Kinematics Consultant Inc., Dr. Ann Penny from Ariel Dynamics, and Mr. George Dales from the International Track and Field Association. We had access to nearly every position within the Stadium and were able to place our video cameras for unrestricted line of site and sufficient angular considerations. Initially, there were some protests from the "insiders" who wanted to keep us out. But Mr. Dales confronted this issue by requesting some valid justification which they clearly were unable to provide, so we prevailed and the data was collected for all the events. We proceeded to very carefully organize our presence at the Track and Field venue in Atlanta. We met Mr. Phil Hannsen, the individual in charge of the Track and Field Events, toured the stadium with him, and decided where the cameras should be placed. During 1995, we traveled to Atlanta for dry run video practice sessions. Knowledge about the plan was restricted to as few people as possible so that there would be no interference and because of the strict security measures. The concept we embraced was to gather and distribute data free for all to utilize; unfortunately, those who had infiltrated the Atlanta and USOC organizations were determined to collect but not share the data in a free format. Since I was considered persona nongrata, most of the visible activities were executed by Mr. Dales since he was well-known among the Track and Field world and not perceived as a threat. We were relatively confident that we would be able to acquire data on the Track and Field events, but none of the other Olympic activities. The closed mentality of the official and unofficial biomechanics organizing group precluded the obviously desirable option of filming as many if not all of the events. It is astonishing that given the powerful advantage of being "at home", there was no attempt made to capitalize on this unique opportunity and to collect data at every event. Why not help all the athletes instead of only some of them? After all, is this not, truly, the Olympic ideal? In 1992, at the Barcelona Games, Mr. Dales and I were shocked to be prevented from collecting biomechanical data on the field. This was the first Olympics since Mexico City that politically inspired motivations prevented data collection. At the same time, Mr. Dales learned that the United States Olympic Committee in conjunction with the Atlanta Olympic Organizing Committee were appointing specific biomechanical groups to collect video data at various events during the 1996 Games. Some individuals within these groups were determined that I was to be excluded from any participation in any data collection at the Atlanta Olympics. Furthermore, the people who told Mr. Dales and I this information could get into trouble and lose their jobs if it were discovered that they had given this information to us! Therefore, Mr. Dales and I collaborated on the steps necessary to protect these brave people who shared our ideals and to assure that the data could be gathered in Atlanta and shared with people around the world. The plan had to perfect if we expected to circumvent the selfish aggrandizement of a few egomaniacs and guarantee that the data would be made freely available to everyone. Unfortunately, politics is a much dirtier game that sports. Some individuals at the USOC perceived my aggressive efforts to produce real and useful information for the athletes as intrusions on their newly defined roles. If you care more about your image and your paycheck than about the athletes, it is quite obvious who will be the ones to suffer the consequences! So I complained more and more loudly about the inappropriate efforts being made ostensibly for the athletes. For example, how did it help improve athletic skills to provide dental exams on-site in Colorado Springs just because such equipment had been donated? I continued to work for and with the Olympic athletes but more and more frequently had to circumvent the regular staff at Colorado Springs to accomplish these efforts. I had moved my company to southern California and the athletes were able to visit and train with me there. The Woman Volleyball team, coached by Dr. Ari Sellinger, lived and trained in our facility for nearly eight years. They won the Silver medal in the Los Angeles Games of 1984. At the end of the 1984 Games, I resigned my appointment as the Chairman of the Biomechanics Committee hoping that the dreams and aspirations which had inspired the establishment of the Training Center at Colorado Springs would be furthered but realizing with a heavy heart that the glorious concept would most probably die as a victim of the political egos and goals of others. During the early years, the Biomechanics laboratory had a full time employee, Mr. Rocco Pettito, who worked with athletes and teams under my general supervision. As the demand for biomechanical analyses increased among the Olympic athletes and teams, I determined that additional personnel was needed on-site. In my capacity as Chairman of the Biomechanics Committee of the US Sports Medicine Committee, I hired Dr. Chuck Dillman to run the biomechanics laboratory at Colorado Spring. In 1983, Dr. Dillman and I co-authored an article describing the work at the Colorado Springs Olympic Training Center. Thus was born the idea to establish an athletically focused training center equipped with the most sophisticated hardware and providing every scientific avenue to develop each of America's athletes to their maximum potential. Dr. Dardik and I created the idea to establish the Olympic Training Center. Initially, the Center was located in Squaw Valley, California but shortly thereafter in 1976, it was moved to it's present location in Colorado. With full support from Colonel Miller, the executive director of the Olympic Committee at that time, and with donations from corporate sponsors, such as Data General, Megatek, Grafpen, and others, the first official Olympic Training Center was established at Colorado Springs. This is the same Olympic Training Center which exists today. Colonel Miller named Dr. Dardik to be the Chairman of the Sports Medicine Committee and I was appointed as the Chairman of the Biomechanics Committee of the U.S. Sport Medicine Committee. As part of my personal and corporate contribution to America's Olympic effort, all of our biomechanical software was installed at no charge on the Colorado Springs system with unrestricted applications for assisting the athletes and their coaches. All of the programs were designed by my staff and programmers on a voluntary bases. My company, Computerized Biomechanical Analysis, Inc., received no funding for this effort. Furthermore, we arranged for the USOC to receive a one dollar per pair of shoes royalty payment for every pair of shoes imported by our customer, CITC, from Korea. This was our royalty but we were so committed to the athletes that we donated this money directly to the USOC to fund the Sports Medicine program. The big question was how individual American athletes could prepare for competition against the overwhelmingly superior representatives of these govern-backed athletic industries. Prior to 1972, American athletes had excelled in nearly all the events based on mere talent. Within America's large population base were enough talented people so that the US was able to dominate the medal standings in most sports. This situation ended with the advent of the government sponsored systems of the Eastern block nations who used science and medicine to "enhance" their athletes. Conversely, America only had raw talent but no system to cultivate these individuals and maximize their natural abilities. The United States had no Training Center, in fact, the office for the USOC was located in downtown Manhattan which was hardly the most appropriate site for athletic training! There was no formal organization to manage or secure funding for training the athletes or coordinating the winter and summer team programs. A notable exception in this void were the men's and women's ski teams which had recognized these problems previously and developed programs within their sport to develop young talent as well as fund the top competitors. Surprisingly, , there were no leaders calling for these types of programs for the other events. I told Dr. Dardik that if we did not do something and utilize our technology, the US athletes would be annihilated by the Eastern block machine in the Olympic Games. In 1975, I was visited in my company laboratory by a cardiovascular physician, Dr. Irwin Dardik. He was interested in my involvement with the Olympic Training Camp in Dartmouth and I described to him some of the remarkable performance results which had been achieved at those training camps. Throughout 1975, Americans were preparing for the Olympic Games in Montreal and Dr. Dardik shared my dismay that our American athletes were "sitting ducks" for the Russian and East Germans because those and other of the communist-block countries had sports training systems as part of their national agenda. In fact, the East German Center in Leipzig was considered by many as the Mecca for athletic training and development. In 1971 in Amherst, Massachusetts, I started a company, Computerized Biomechanical Analysis Inc., as a service organization for the purpose of biomechanically analyzing objects in motion ranging from sporting goods to other devices such as prosthetic hips and giant sewing machine pistons. In addition to performing these consulting services, the company developed in-house products such as the most sophisticated computerized exercise equipment and a stand-alone motion analysis system. Eventually, these systems were used by some of the leading industrial companies and research centers in the world. Fortunately, these successful commercial ventures provided sufficient revenue to cover the costs incurred in providing free biomechanical analyses for the amateur athletes and teams with whom we had the honor to work. Although Mr. Dales supports American participants, he has endeavored without national bias to encourage the free exchange of knowledge for anyone interested in studying and helping athletes and their coaches. In conjunction with his fellow coaches in the International Track and Field Coach Association, Mr. Dales and I collected data at the Games in Montreal in 1976, in Los Angeles in 1984, and in Seoul, Korea in 1988 and data relating to each of these Games was published in their journal. 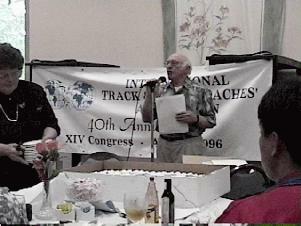 Mr. George Dales, who was a member of the International Track and Field Coaches Association and the editor of the Track and Field Quarterly Review, published some of my studies relating to these Track and Field events. Throughout his career, Mr. Dales has tirelessly devoted his energies and resources to develop and promote the success of athletic performances worldwide through the International Track and Field Coaches Association. As early as 1968, Mr. George Dales and I analyzed the data from the Mexico City Olympic Games and one of the studies related to the Bob Beamon long jump record was published in the Track and Field Quarterly Review. In 1971, he was quite concerned about the difficulties the American athletes had as they prepared for the Munich Olympic Games since there was little organized efforts on their behalf. Through his efforts, Mr. Dales and I were able to gain field access at the Munich Olympics and film nearly every event which were then analyzed and published in Track and Field Coaches Association journal so that coaches worldwide could benefit from this information. In 1963, I left Israel for school at the University of Wyoming where I earned my Bachelor degree. I earned my master and doctoral degrees at the University of Massachusetts as well as pursuing on my post-doctoral work in Computer Science there. In 1971 and 1972, I was in charge of the biomechanical research for the Olympic Track and Field training camp for the throwers at Dartmouth College in Hanover, New Hampshire. The head coach at Dartmouth College, Mr. Ken Weinbel, was the coach in charge of these throwing camps. At that time, there were some great athletes preparing for the Olympic Games which were to be held in Munich in 1972. My own athletic accomplishments include representing Israel in the Discus event at the Rome Olympics in 1960 and the Tokyo Olympics in 1964. These were significant personal accomplishments, but paled in comparison to the performances of the other competitors. I was surpassed by the awesome and spectacular Al Oerter of the United States who holds the unbelievable record of winning a Gold medal in each of four consecutive Games. I consider it a great privilege to have had the opportunity to be in the same Olympics with Al Oerter. Today's environment of political hostility and intellectual sabotage grew from the petty jealousies of the past. To understand this current "politically incorrect" behavior, will require a brief digression into the past. The second challenge was to circumvent the obstacles continuously erected to block this flow of information. The efforts to prevent our work of collecting data and making it freely available to everyone around the world were created by individuals motivated apparently by jealousy who had substantial political influence within the USOC and IOC. In the old television program, "Mission Impossible", the MI force had to create a variety of fancy, sophisticated electronic devices to prevent a tragedy, such as the death of the "good guy" or some nuclear mishap. Fortunately, our "Mission Impossible" did not involve life or death but rather the gathering and dispersing of knowledge and data for all to use quickly and without charge. The "bad guys" in this case were trying to prevent this free exchange of knowledge to everyone in the world; the "good guys" were all of the coaches and athletes who hoped to study and understand these performances. There were two distinct obstacles which had to be overcome before scientists and coaches around the world could have access to the Track and Field performances in the Atlanta Games. One challenge involved the integration of sophisticated, technologically elaborate data acquisition and dispersal systems. Video data had to be collected, processed, and the appropriately coordinated sequences selected for each of the camera views. Then this data had to be uploaded onto the Internet for access by any person on Planet Earth. Under the auspices of the International Track and Field Coaches Association and without financial assistance or anticipated reward, we worked to collect and distribute the video data as rapidly as possible. The goal was to provide free data in nearly "Internet real time" for use by anyone on earth regardless of their politics or bias. Efforts continue at laboratories around the world on biomechanical analyses of the other events. As soon as the work is completed, the results will be shared with the athletes and coaches to assist in their continuing efforts to improve. Mr. George Dales and the International Track and Field Coaches Association are committed to working with all athletes in every countries with the free flow of information and, to that end, a library of all video data for all events is available at the Association's library in Indiana. Figure1. Presentation to the Coaches and Athletes. San Diego November 1996. At the meeting, the results were disclosed, interpreted, and discussed with the athletes. The discussions among the coaches, athletes, and scientists created very effective environments to learn the advantages and disadvantages of the event. The knowledge gained was based upon the performances by the world's best throws executed during the Atlanta Games. Understanding performance from data gleaned from actual event throws is more realistic and, therefore, more helpful to the athletes than basing conclusions obtained only during practice sessions. Recently, the first study utilizing all of the data collected during both the preliminaries and the finals was for the Men's Discus Throw and has been completed. The results were presented to the U.S. Olympic Training Camp for the Men's Discus Throwers in San Diego, California in November, 1996. The immediate goal was realized as the video data for each event was uploaded to the Internet. The procedure was to collect the video data at the performance venue, process it almost immediately, and upload the files to the Internet for worldwide access. Tracking results indicated, subsequently, that thousands of data sets were downloaded by various organizations around the world ranging from school children in New Jersey to sheep farmers in New Zealand. For the first time in the era of the modern Olympics, the Internet was used to share data in almost real time. These video clips, with the proper calibration object information, allowed a full biomechanical analysis of the event. Most biomechanical analyses require a motion analysis system for transforming and filtering the raw data as well as additional processing to yield kinematic data such as displacements, velocities, and accelerations. Biomechanical quantification can be organized to allow full interpretation of the event providing the coach with valuable data for present and future improvement. Such understanding and information can be useful for veteran or novice athletes in optimizing their performances. The main research goal was to analyze the Track and Field performances in the 1996 Atlanta Olympic Games including the immediate task of uploading the data to the Internet in the fastest, nearly real, time. In this way, scientists, students, coaches, athletes, or any interest group would be able to download immediately the video and other data from the Internet. Prior to the Olympics, I have made various presentations explaining some of the processes. These are new and innovative procedures which allow the immediate transmission of video information around the world for analysis at different locations. Generated on 4/18/2019 8:20:59 AM (PST) ADI/HQ/GBA/2019/ARIELCLOUD/v3.0.2018.0126.